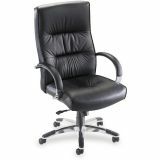 Lorell Bridgemill Executive High-Back Swivel Office Chair - Executive high-back chair is upholstered in rich black top grade leather. 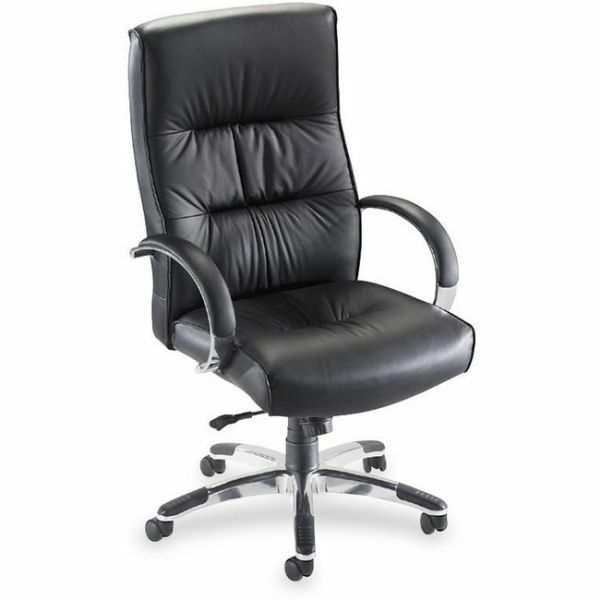 Sloped open-loop arms have an aluminum frame with padded leather for comfort. Matching aluminum base has plastic scuff guards and casters. 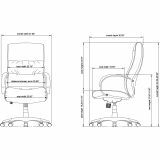 Functions include pneumatic seat-height adjustment (18-1/4" to 21-3/4"), 360-degree swivel, tilt, tilt tension and tilt lock. Seat back measures 22" wide x 4-1/2" thick x 28" tall. High-back chair meets the CA117 fire retardant standard.